Vintage Digital Studio Effects from the 70s. 80s, 90s and Now! Classic Vintage Digital Effects including digital reverbs, digital delays and digital multi-effects processors. Includes AMS, Eventide, Lexicon, Roland, Sony, Yamaha and More! Finally Eventide H3000 audio samples are here! Considering an Eventide H3000 for your effects rack? Wondering how it sounds on drums, guitar, vocals and brass? 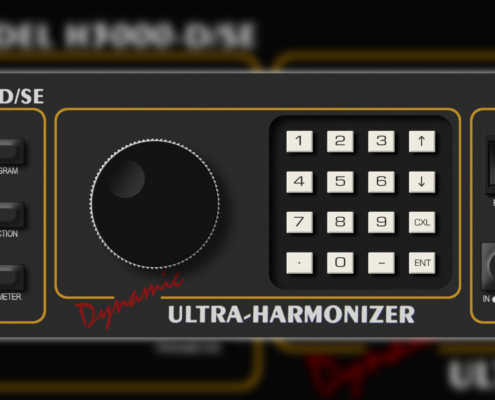 Well we finally have a huge number of audio samples of this legendary effects box, enjoy! Get that 1980s sound with our 80s Dream Rack! 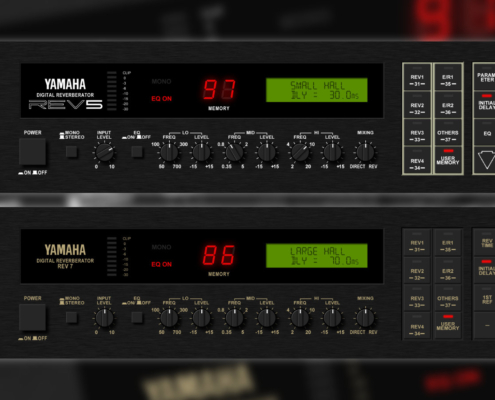 In the mid 1980's Yamaha released a number of great reverbs and multi-effects boxes, they were successful in both live music effects racks and studio effects racks. The Eventide H3000 is one of the most legendary multi-effects boxes ever made, and while it has been 'improved' over the years, for many it has never been beaten. Guitarists in particular relish this machine as much as Jimi himself! The Yamaha SXP90 is another one of the most popular reverbs on our site, with hundreds of views every month, and thanks once again to Eugene, we now have a huge number of audio samples.